FirmRoom features a full suite of state of the art built in tools and features. At FirmRoom we keep things simple. We can get your room up and running in a matter of minutes. We also help with any team member’s onboarding needs. Start using FirmRoom immediately, without having to read a manual or watch instructional videos. Access your data room from your computer, mobile phone, or tablet. Use FirmRoom immediately from any computer, without having to download or install software or plug-ins. Our VDR is trusted by professionals all over the world. We not only meet industry security standards, but go above and beyond to protect your documents. Never worry about who can see what again. Eliminates the worry of restricted documents being saved for later. Maintain complete control over who can access what information in your VDR. Set up the two factor authentication and reduce the risks of password theft. 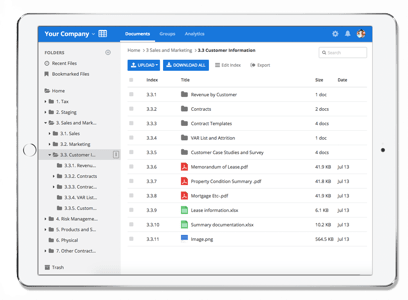 Drag and drop files throughout the platform to streamline your data management. Upload many files simultaneously just at the click of a button. 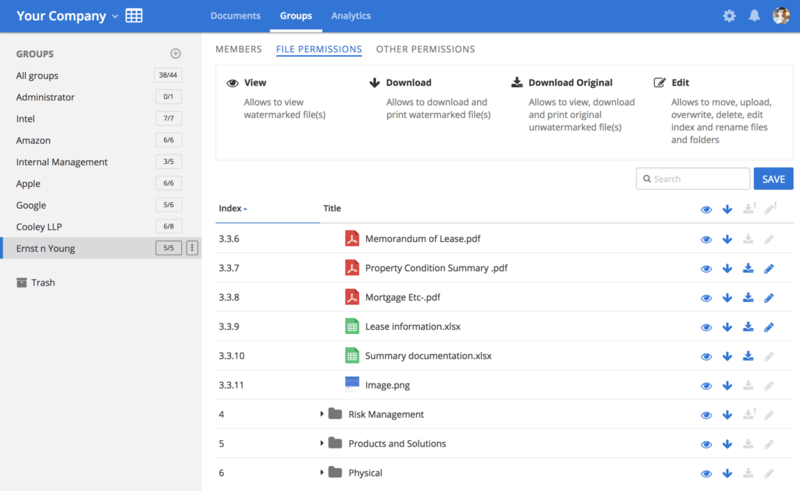 View documents of a variety of file types without having to download them first. Search for text within individual documents throughout the data room. 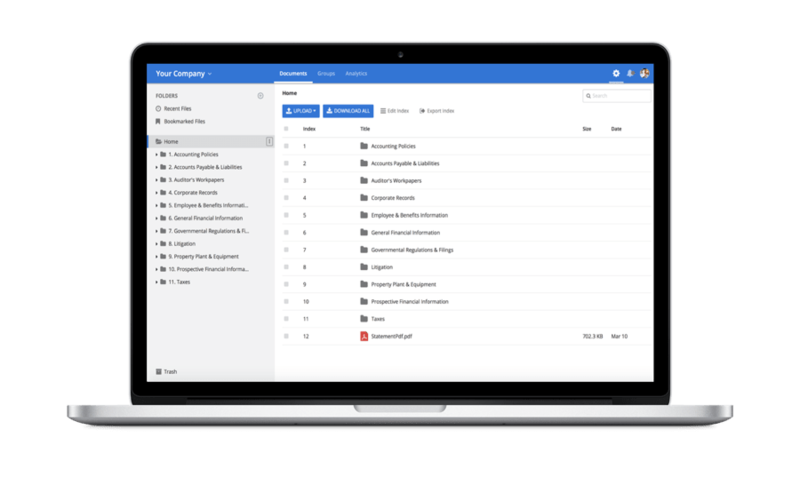 Effortlessly add users, set group level permissions, and specify who has access to files and folders. Track buyer activity around deal engagement, and have access to robust data analytics. This includes when users log on, which documents they access, and how they use the information. Share your data with a large list of recipients simultaneously. 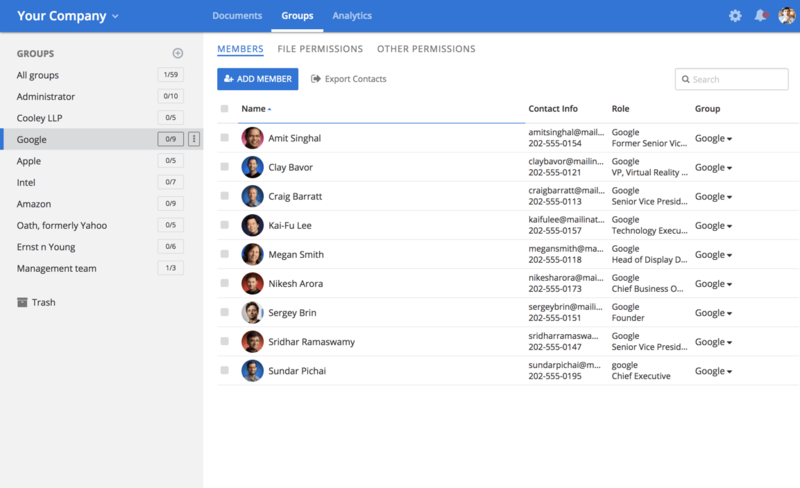 Assign document privileges more easily by organizing users into groups with varying levels of access. View detailed records of all the in-platform actions of any user. 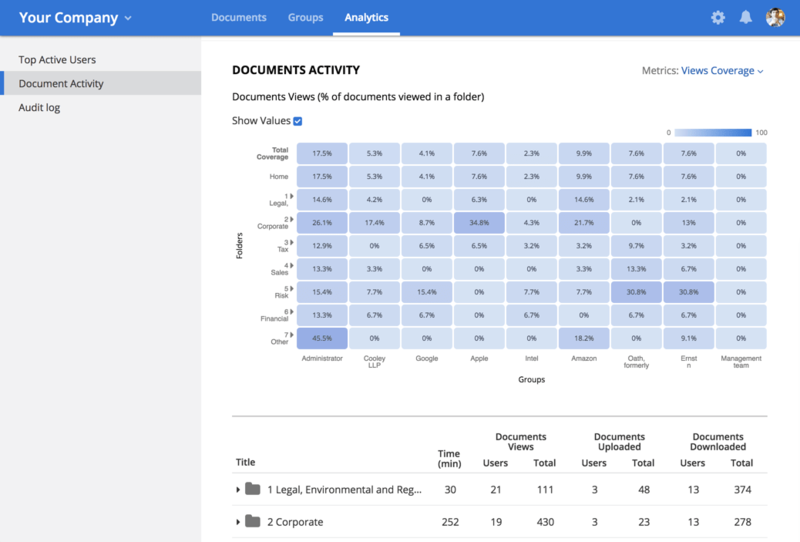 Have a bird’s-eye view of document collection with FirmRoom’s smart analytics. Use data automatically logged by FirmRoom to streamline your audit process. Export data analytics into a PDF or Excel report in just one click. Know who viewed what documents and when, as well as who uploaded and downloaded files. FirmRoom’s additional features allow for easy document flow and accessibility. Always be aware of when an upload is complete. Or confirm permissions for uploaded documents before they become visible. 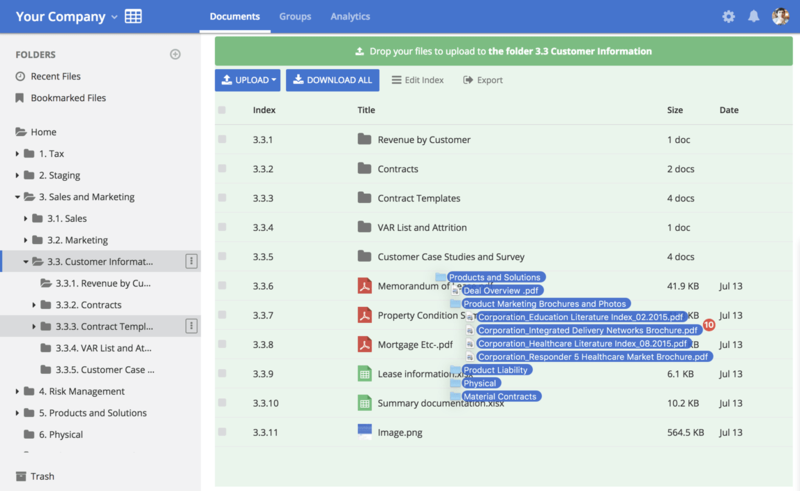 Your data index lets you structure your folders and files in the right order. If you need to rearrange, you can edit the index with drag and drop. Bookmark files you want to remember or access quickly in the future. Quickly access all your bookmarked files in one simple location. Be in touch with your team and get notified of new comments at the frequency you desire. Simply set your email notifications to your specific needs. Track real activity spent in a room. View time spent viewing documents and total activity of your team and other participants. Use filters to only view specific documents, such as date created or uploaded. You can quickly customize filters to see what you want. Join thousands of other companies around the world, and start organizing and sharing documents in a matter of minutes with FirmRoom.